We are very proud to welcome Blackhurst Budd Solicitors to our D. Hollowell & Sons working family. Blackhurst Budd Solicitors are experienced Probate Consultants with an exemplary background in Law. We all appreciate how daunting it can be attempting to deal with issues of probate and estate administration, particularly at such a difficult, often emotional time. Blackhurst Budd Solicitors have kindly agreed to assist D. Hollowell & Sons in helping our families at this difficult time by offering their expert advice in these matters. By way of a telephone call, a simple e-mail or an appointed visit to Blackhurst Budd Solicitors, 22 Edward Street, Blackpool FY1 1BA your probate / administrative queries or concerns can be answered and your mind set at ease. This service is free of charge and appointments are expected to last up to half an hour. A pamphlet will be given out with our funeral brochure at the time of the funeral arrangements, all necessary contact details are set out therein. *Please note: Our probate consultant cannot apply for probate on your behalf, rather advise you of the right path to go down and offer a helping hand by checking documents before submission. Our support to you extends far beyond the day of the funeral. We are proud to offer a dedicated ‘Aftercare’ service to help you integrate back into your daily routine. Approximately two weeks after the funeral has taken place, one of our aftercare ladies will make a telephone call to the next of kin or their representative and have a friendly chat, ensuring any questions you may have are dealt with efficiently and with sensitivity during this difficult lifestyle change. 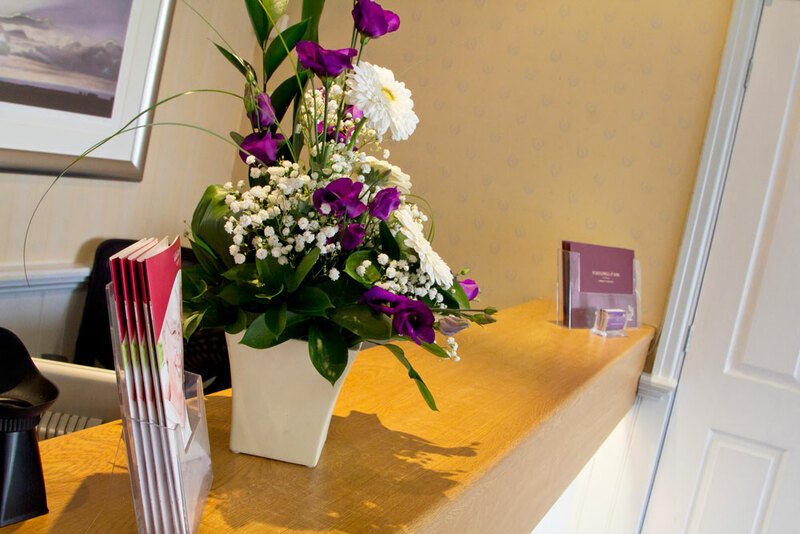 Mrs. Rachel Anderton, our aftercare representative draws on many years experience within the funeral profession. She will call you and have an informal chat on the telephone over a number of subjects which you may, or may not have thought about following the funeral. Subjects range from thoughts on the final resting place for the cremated remains to cancelling store cards or subscriptions. Whatever the issue, Rachel will help and advise and have a general chat at a time when most have gone back to their daily routines. If you prefer a one to one chat, then please feel free to make an appointment… the kettle’s always on!